We had to spread the word because the prize is tremendous. You know we love Tea for the globally cool designs, well we also love them for the swag they put together. This latest contest is a doozy. I just went to Tea and entered. It took seconds and I&apos;m in the running to win big! The Tea Collection Welcome, Baby Sweepstakes is live now through September 29th! Hurry and enter before you forget. 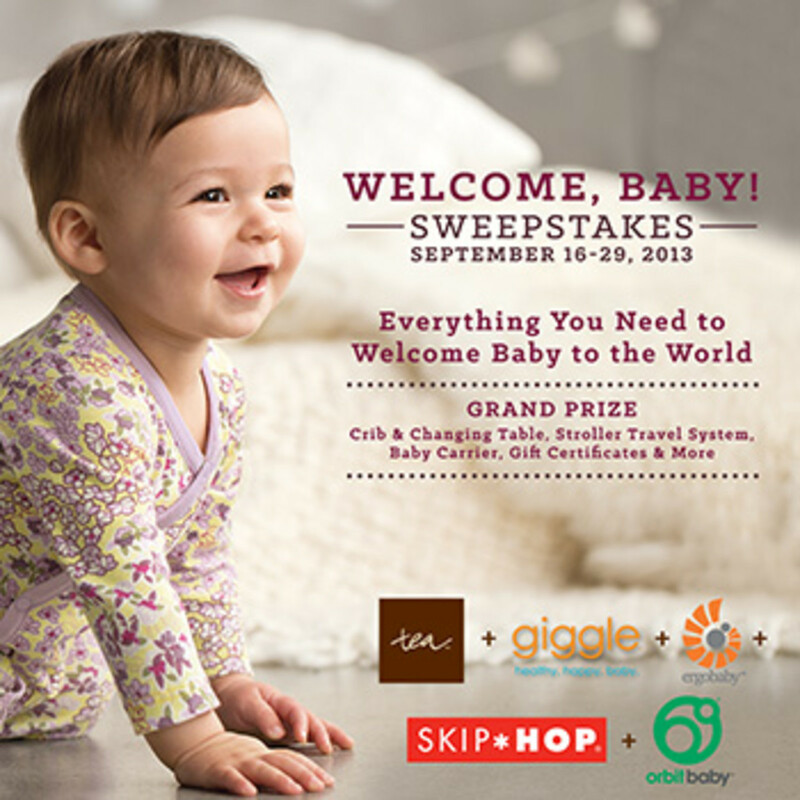 Welcome, Baby Sweepstakes has prizes from Giggle, Ergo Baby, Skip Hop, and Orbit Baby. It&apos;s everything you need to welcome baby to the world.